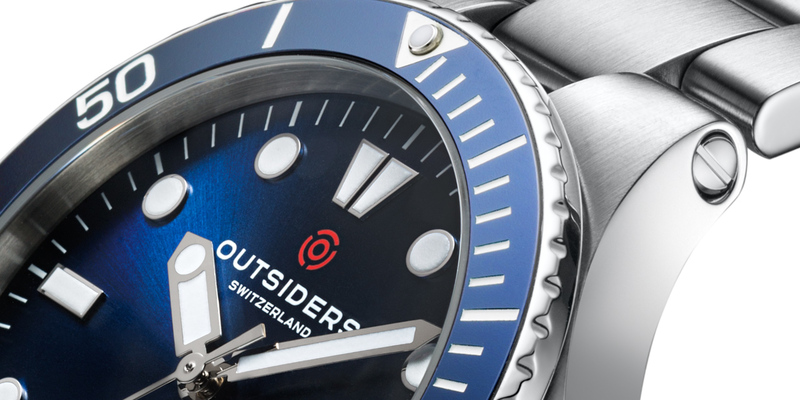 Every detail of the Outsiders watch case meets the highest Swiss standards. Scratch-resistant, curved sapphire glass and a 300m water resistance level ensure that you’d need to go out of your way to make a dent in this watch. 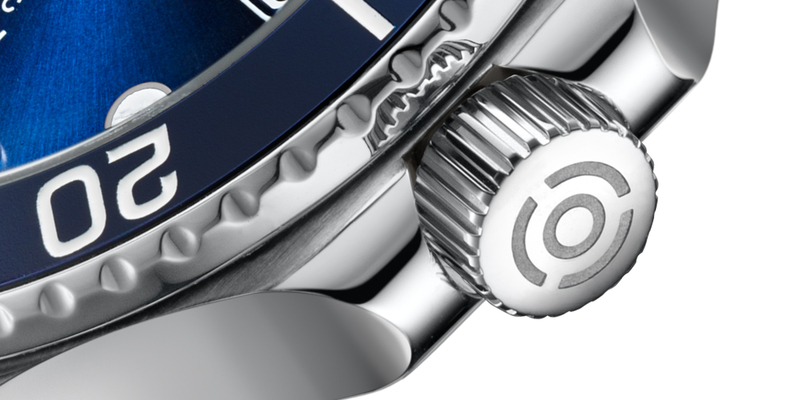 We didn’t forget the fine details: an engraved logo on the crown, hand-polished sides, and a matte top case finish gives you that warm luxury feeling. 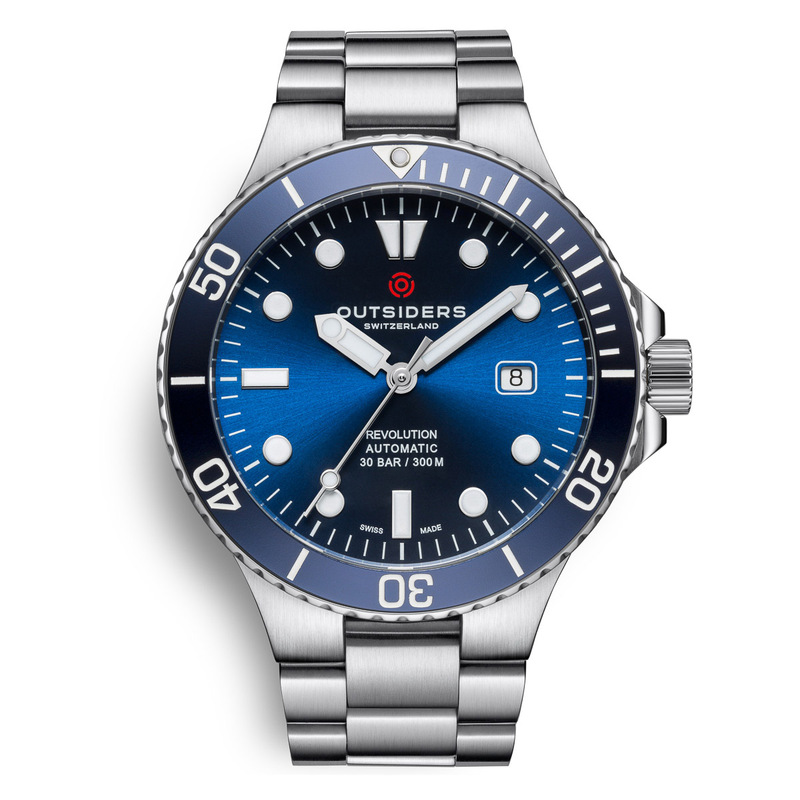 Choose from a black lacquered, blue or green sunray dial built from the best stuff we could find. The applied indices are hand-filled with photoluminescent material because how else could you tell the time in the middle of the night when you’re 300m under water? Don't be shy! Feel free to spin me around. 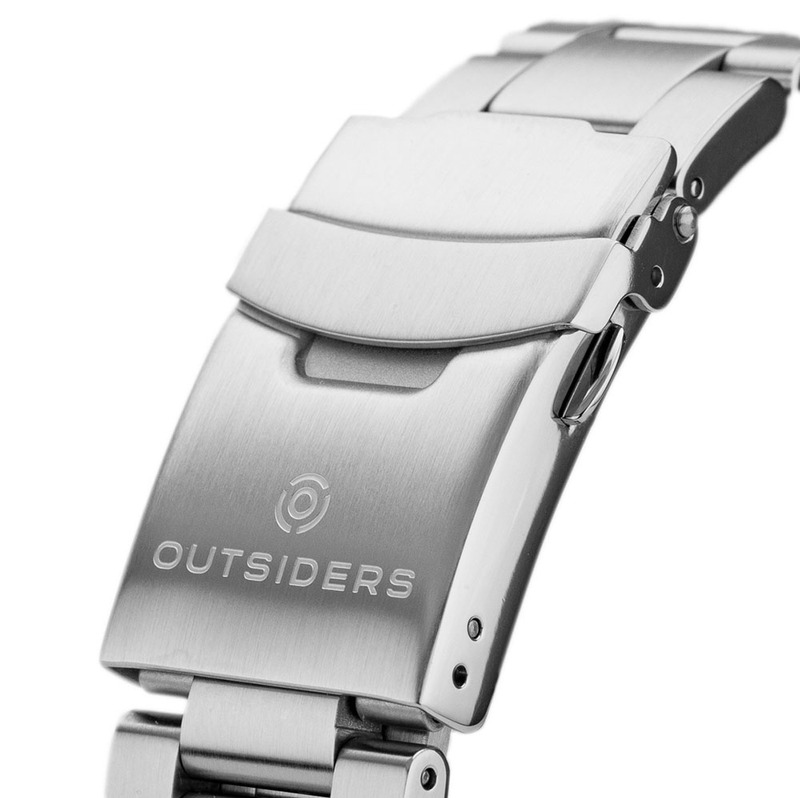 "In all, the Outsiders Revolution is a great looking watch, which in my opinion offers a tremendous value proposition. 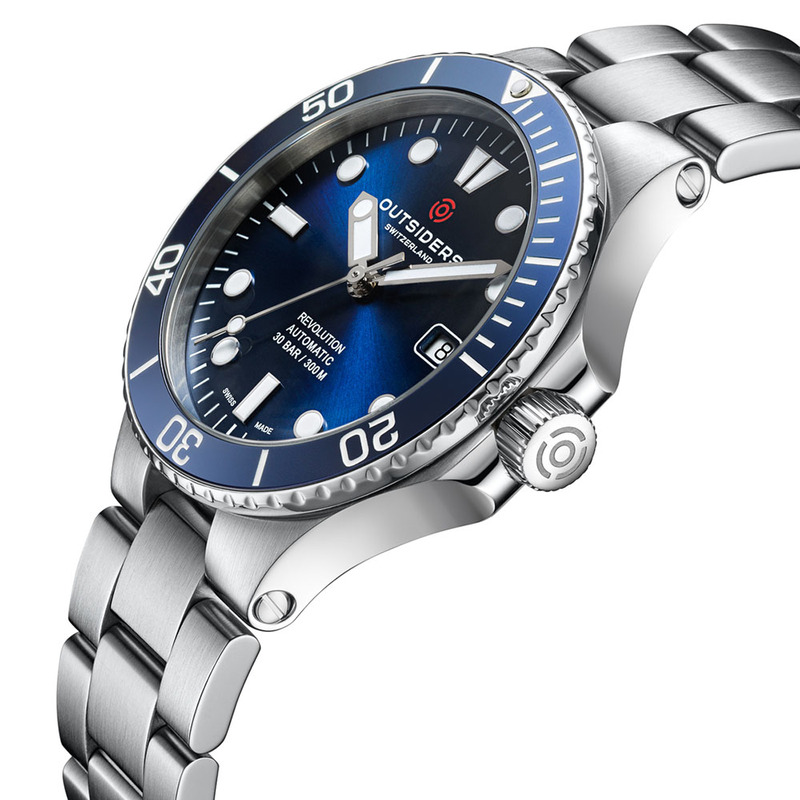 The watch retails at a price of $499 which definitely sounds like a steal for what this watch offers." "This watch certainly does not feel like a microbrand watch or a watch from a smaller company. 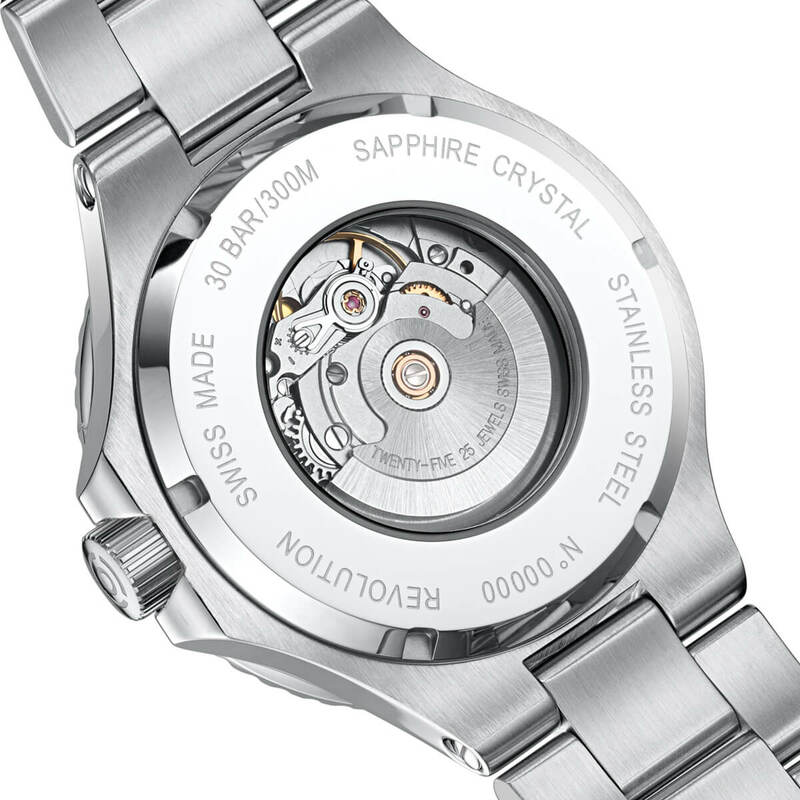 It has that refined and Swiss feeling which really blew my mind when I unboxed it." 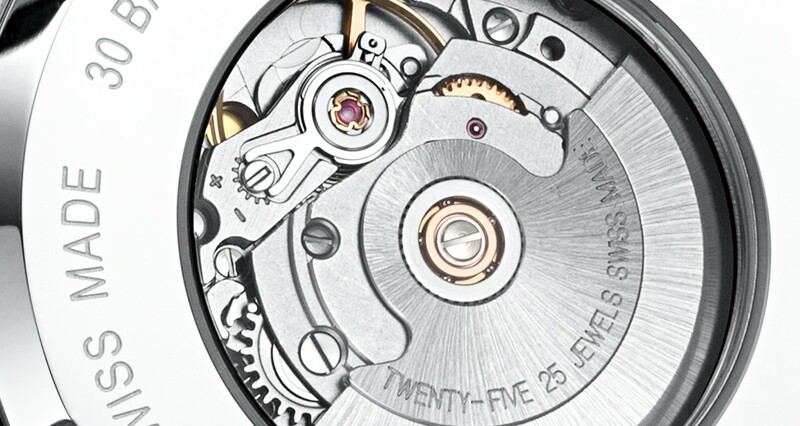 1 Depending on the production batch, your watch can be delivered with either a ETA 2824-2 or a Sellita SW200 movement; Both state-of-the-art Swiss automatic movements.